This year, as Current marks the 50th anniversary of the Public Broadcasting Act, we are illuminating the experiences that inspired people to choose to work in public media. 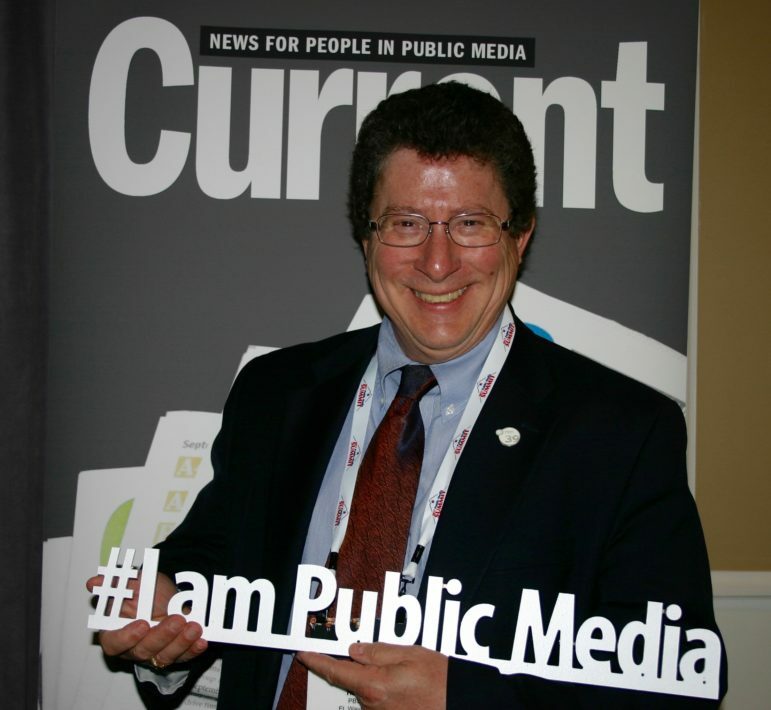 Every week, we will be sharing their stories using the hashtag #IAmPublicMedia. 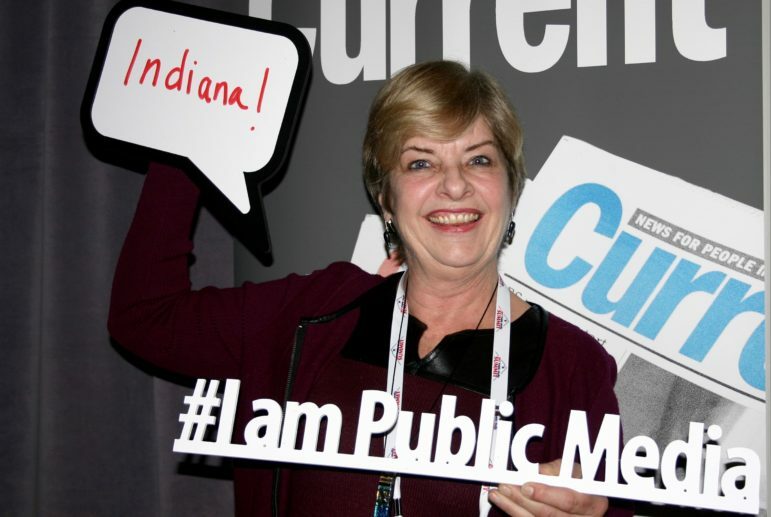 During the 2017 APTS Public Media Summit, Current collected these expressions of support for public media. 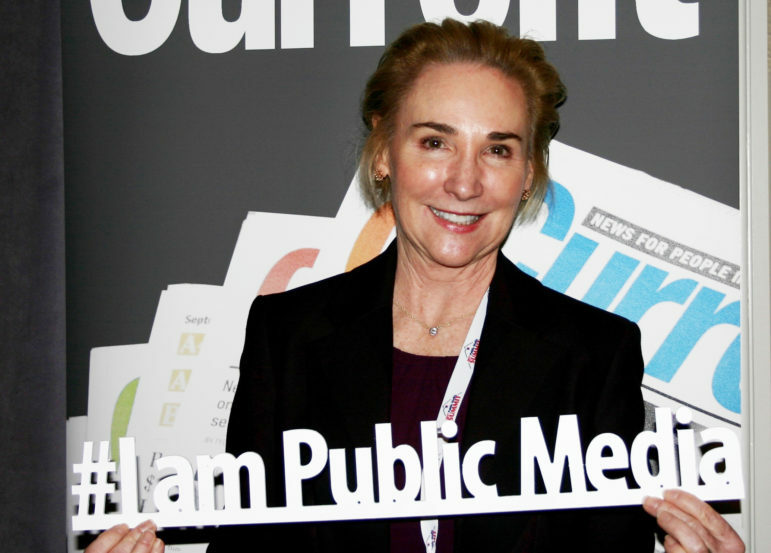 Look for us at the PBS Annual Meeting May 15–17 in San Diego and tell us your story. I’ve been doing public media for six years now. That may not sound like a long time, but actually I go all the way back from the beginning when I was a little kid in rural Mississippi watching Big Bird, Sesame Street, Electric Company and all the shows that public media has. 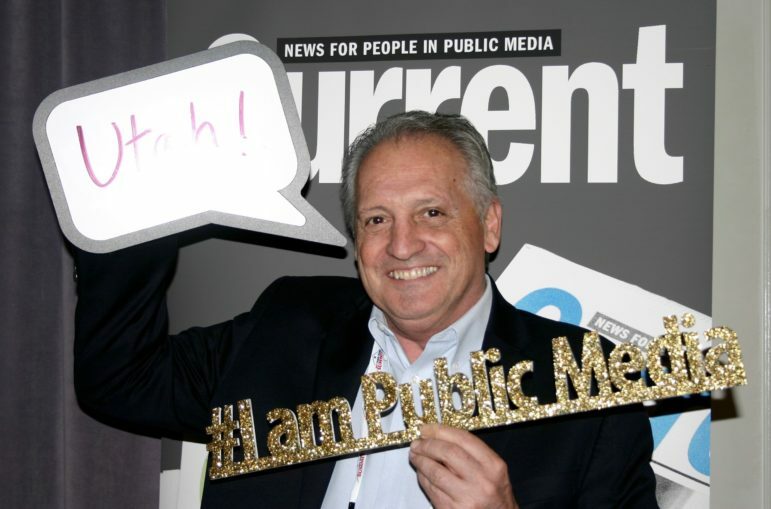 I have a real interesting story about public media and the impact that it has on people. One of my dear friends when I was at home in Tupelo, Mississippi, was a man who was about 99 years old. He never learned how to read or write. I remember him; he was watching Sesame Street. Every day he would watch and he would learn a different letter. When he turned 100 he was able to write his name for the very first time using public media. That always stuck with me because public media has so many different ways of reaching people. Certainly in a state like Mississippi that’s educationally challenged, public media can be the answer to that. We can fill in the gap. We can help the Mississippi Department of Education. We can do so many other things. We have a reach with our broadcast capabilities of being a statewide network reaching every household in Mississippi on the radio and television. No one else has that power. 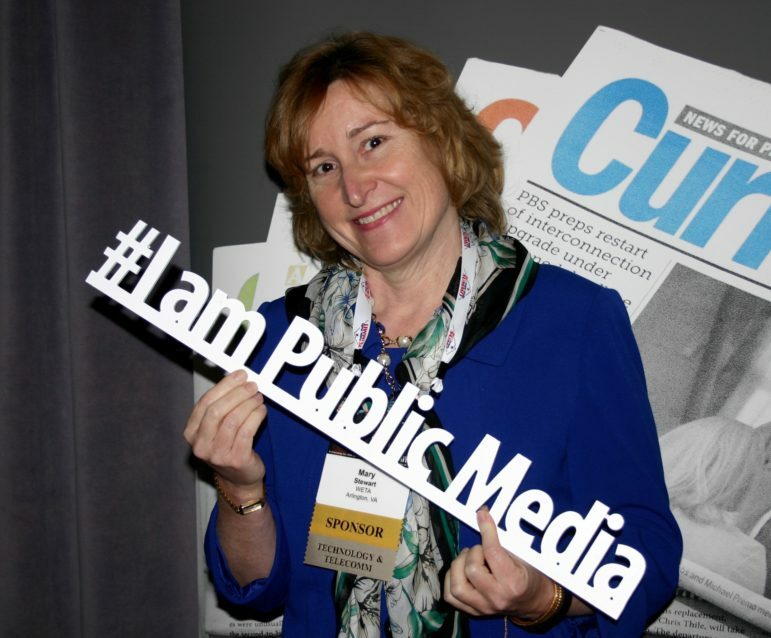 I go to work every day full of passion, full of energy, to make a difference in my state because I truly believe in public media. We have something unique here and something that no one else has. Lay leader, WTIU, Bloomington, Ind. My husband and I have been giving to public broadcasting for virtually all of our married life. My husband and my father are both economists by training. One principle in economics is “There’s no such thing as a free lunch,” so you better support what you value while it’s here. Our children have grown up on public broadcasting. They were raised on public TV. Public radio is always going in our house. It is an incessant source of information and education. I’m here as a volunteer, but I have been a donor to public broadcasting, as I said, since 1975. And public media is in my estate plan because I often say behind my family and my community, I can’t think of anything that has lent more to the quality of my daily life than public media. General Manager, PBS 39, Fort Wayne, Ind. I do this because it’s a pay-it-forward situation. It’s a pay-it-forward mission, like planting tulip bulbs, like trying to believe civil discourse is not an oxymoron, to believe that early childcare and childhood education lead to lifelong learning, that you’re leaving the campsite better than you found it and if you can help convene your community and be a player in its success later on, using the tools of technology, it turns out to be a very happy ending for everybody. [Public media is] about being sure that the mission has something tactical to show for it at the end of it, whether that’s an improved sense of self, that children are playing well with others, that they have a confidence about entering education, … that they have as adults an opportunity to discuss what ideas and issues are important to them, and also to look around and share the good stuff that has come along the way. This whole arts and culture thing is really the lifeblood of what we do in many ways. It rounds us out as people. If we can help in rounding out those ideas, those persons, those aspirations and give a good sense of place so others think Fort Wayne is kind of a nice stop along the way, so much the better. I’m in public media because I believe in this mission. We need a service of news and education and culture to bring us together in this amazing experiment in self-government. No matter how much we’re under threat and attack, there are things that we can do together as human beings to make this world better. What’s happening right now in this country is a verification of why we’re so needed right now because we’re trusted, we’re honest, we’re truthful, we’re fair, we’re balanced. The adjectives go on and on. What we’re doing now is more important than ever. Way back when, I got [into public media] for those reasons as well. But it’s so challenging and interesting to be in the business right now. To have a beachhead on that trust thing, where everybody’s scrambling to get it — we’ve always been there. I have been a part of broadcasting since I was a little kid and sort of fell in love with the way television could transport people to different places. That’s all I ever wanted to do. Public broadcasting gave me a window into democracy through the Watergate hearings and the opportunity to see how media impacts lives and the way people think. I started in commercial television but then had an opportunity to go to public broadcasting. Although I only planned to consult for six months, it’s been a couple of decades. It’s been good. Not a bad consulting gig. It’s pretty unusual to be able to say I have loved going to work almost every day, and that’s a blessing. Community Engagement Manager, WPSU, State College, Penn. I’ve been a believer [in public media] ever since my early childhood days, growing up with Upstairs, Downstairs … and through my entire life. It’s pretty much been the only media I’ve consumed. I’ve worked on the commercial side though for my livelihood for the last 25 to 30 years, working for a number of different television stations and affiliates doing the news. 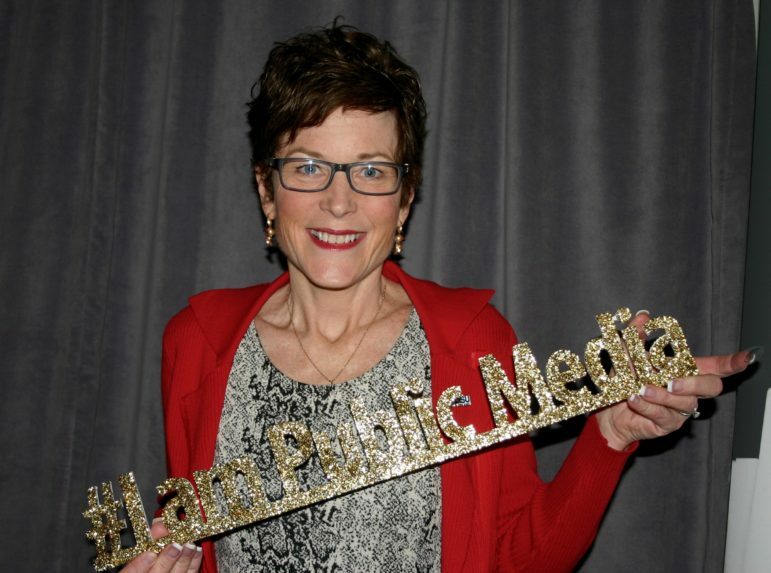 [And I] just knew that public media was calling me … to be a member of this wonderful group and to make that difference on this side. And I couldn’t be happier. We’re in challenging times, and I feel it’s a good opportunity. We live in central and north-central Pennsylvania. We really are the only locally owned and controlled voice that’s left in our marketplace. It’s owned by the members, it’s owned by the people. That voice needs to be out there, especially where we live, in the largely rural part of America. There’s no one else who’s telling those stories and putting those voices out there. Now more than ever I really, truly believe it’s something that’s absolutely necessary. Vice President, External Affairs, WETA, Washington, D.C.
It’s a great grad school feast every day. … I’m looking at our literacy models of how to help people graduate from high school. Every few weeks I’m jumping into another meaty, important subject. Even though I might be doing technically the same thing day after day of writing and organizing events, the subject matter changes. And then you get to talk with some of the most fascinating and passionate people in those subjects. It’s fun. 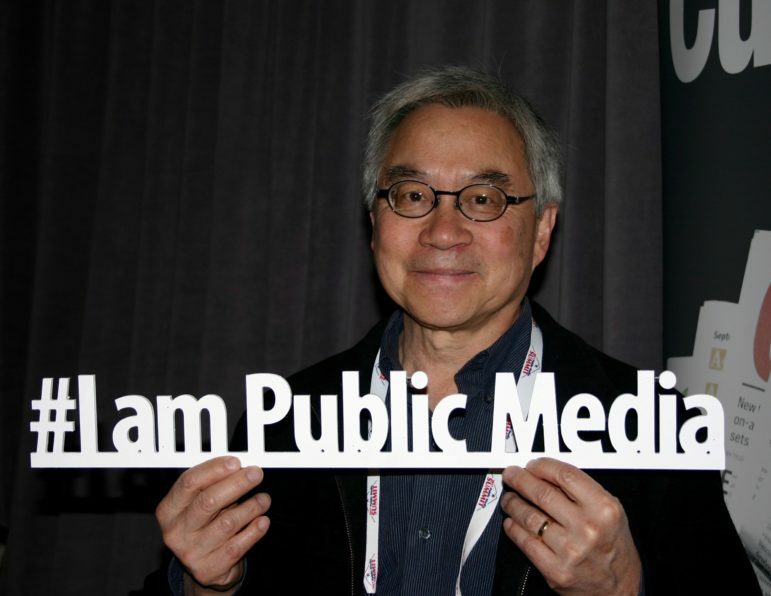 We need places where we can come together, and I think public media is that and can be that. So often as a parent when I’m talking with my kids, they’ll say, “We don’t learn that much about the Vietnam War,” and I’m like, “Lucky for you, coming this September.” I’m surprised as a parent and with some of the other social groups I’m in how often I want to refer back to things that we air as being touch points for the community to come together and have some shared knowledge. You’re not going to learn everything about a nature topic by watching an hour of Nature, but you’ll get a working knowledge of some important, fascinating things that we really probably should know about. Current is also collecting longer contributions. If you’d like us to feature your story, submit it here. 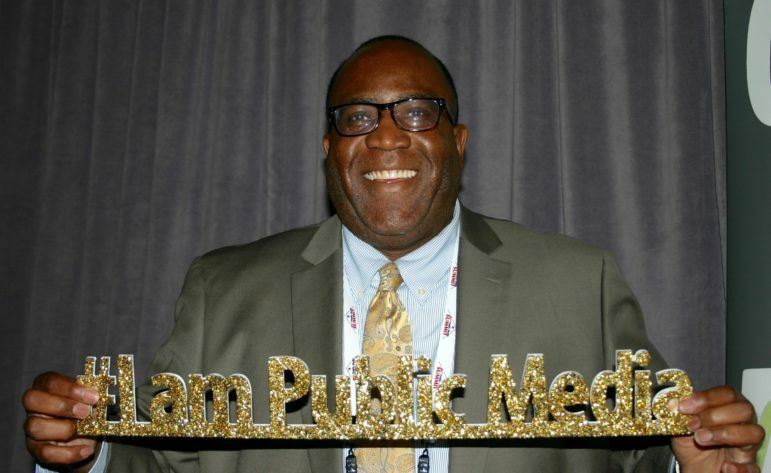 Here’s what folks at the PBS Annual Meeting in San Diego had to say about their commitment to public media.